Marium Shamim earned her Bachelor of Commerce degree from the University of Karachi. 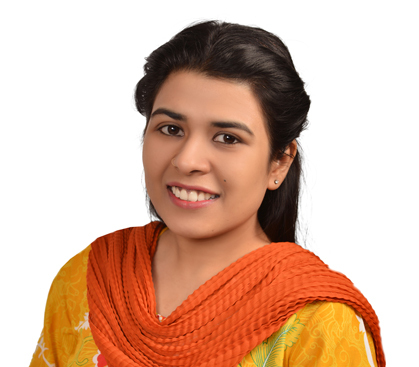 She is currently pursuing her CMA from the Institute of Cost and Management Accountants of Pakistan (ICMAP). She is presently serving as an IERC Executive and is responsible for liaising with DSU’s international partners and facilitating students aspiring to complete higher education from abroad. She is also actively involved in arranging on campus seminars for promoting foreign higher education opportunities.